Emily Barker will play her final show with her long time support band The Red Clay Halo tomorrow evening with a show at London’s St. James’ Church. 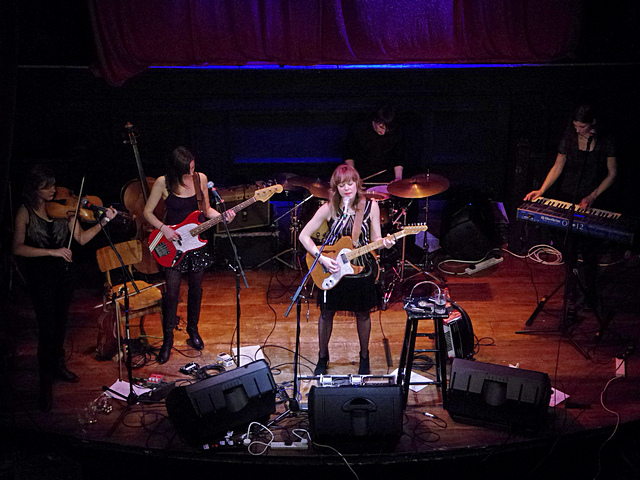 Emily and The Red Clay Halo have recorded four albums together, with the band receiving widespread acclaim for their effortless blend of americana, folk and country. They have played regular live sessions for Dermot O’Leary on BBC Radio 2 and have just returned from playing at the Americana Music Festival in Nashville. In 2012, the band collaborated with Frank Turner, releasing the single ‘Fields of June’ together, and appearing with him at the Olympics Opening Ceremony. They have toured extensively around the UK, including sold out shows at prestigious venues like London’s Union Chapel and Kings Place, and it is at their live shows that the band have really shone. There should be plenty of emotional energy in the room tomorrow night (Wednesday 19th) as the group get together for one last hurrah! Tickets are still available for tomorrow night’s gig from here.